Hybrid Technology Unique topics related to the 2016 up RX450h model hybrid drivetrain and other features/options found only on the RX450h. Please use the main forum for discussion about shared components with other fourth generation RX models. There are two answers.Yes and no. The 450h uses the electric motors in reverse.There is insufficient power to backup an incline if you have a certain amount of weight on a trailer. (Less than 3000 max, amount depends on incline slope) I learned that the hard way backing up a boat ramp in 2010. Had to have AAA tow me out. Forward gears use the ICE, thus not an issue. Likely a jet ski or motorcycle won't be a problem, but towing a 2500 lb boat is. At sea level? If have to back up the slope? Will it handle the load? ex-450h owner. you don't tow, so it doesn't matter, your looking at mdx hybrid can not tow anything. good questions though, what is sea level, maybe its lake level, at what grade of slope, towing what amount up to 3500 lbs ?? In Reverse (the subject of the discussion), MG2 is connected to the Sun Gear in one of two joined planetary gear sets. 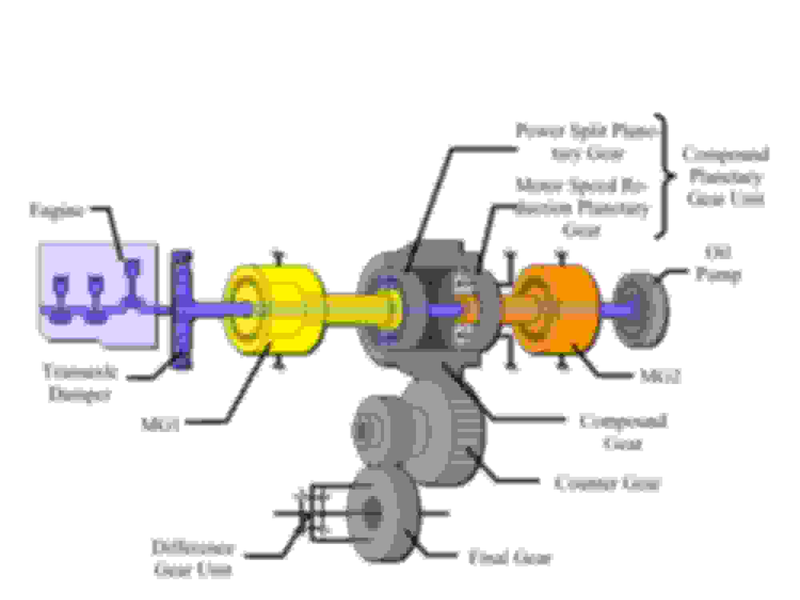 The Planetary Carrier of that gear set is held stationary, which means that the MG2’s rotation is amplified by the Motor Speed Reduction Planetary Gear (in the illustration) thereby turning the rest of the gears (the illustration’s Compound Gear, Counter Gear, Final Gear, and the Difference Gear Unit - commonly called the “differential”) and, ultimately, the drive wheels. Those of you with the 450h F-Sport with the tow hitch already installed, what are or have you been towing with it? Thinking about getting a small fish/ski boat in the future, but not sure if the 450h could handle it. Last edited by JSracer; 02-19-19 at 05:45 PM. Towed a 1900lb trailer 300 miles over a snowy mountain pass, no problem. Look at the specs for the RX. Went back over the same pass right after it opened to traffic after a snowstorm and blew past tons of other capable AWD cars.